Keiko Alexander is a graduate of the Juilliard School in New York where she studied piano with Sascha Gorodnitzki and Janina Fialkowska, and has also studied privately with Bela Siki in Cincinnati and Vlado Perlemuter in Paris. While in Cincinnati she formed the Alexis Piano Trio with members of the Cincinnati Symphony Orchestra, which performed throughout Ohio, Kentucky, Indiana, and Tennessee. 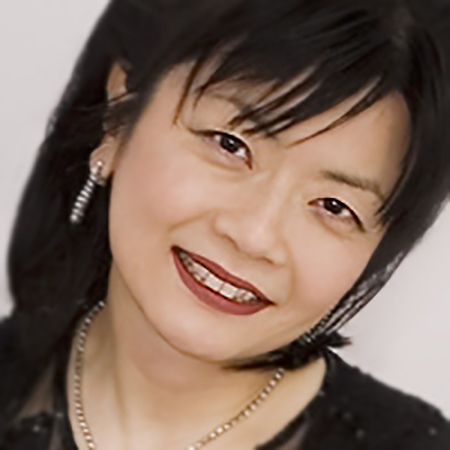 In addition, Keiko taught in the Piano Preparatory Department of the University of Cincinnati College-Conservatory of Music, and served as Chair of the Piano Department from 1996 to 2000. In 2000, she was invited to perform for Hillary Clinton at a Campaign Event in Cincinnati. Since moving to Vancouver , Keiko has been a very active teacher, has held master classes at the BC Conservatory of Music, and performed as a soloist and chamber musician on numerous occasions in Canada, the United States, and Japan. She has served as an adjudicator for the UBC Concerto Competitions, Burnaby Clef Club, BCRMTA Student Performers Guild Festival, National Music Teachers Association, BC Conservatory of Music Festival in BC, the World Piano Competition in Cincinnati, MTNA (University of Kentucky in Louisville, Kentucky) and the American College of Musicians Piano Guild. Keiko has also adjudicated in Germany for the International Piano Competition for 6 Hands and 8 Hands in Marktoberdorf, and in Tokyo for Japan’s Piano Teachers’ National Association (PTNA).